A timely article written by new guest contributor; Ilona Thompson the Editor in Chief for Palate Exposure, a self-described believer in the Sustainability of Critical Thinking and Personal Responsibility, she is also a regular contributor to the Brenner Brief. Look forward to seeing Ilona's contributions here, each and every Wine Wednesday, please help me welcome her to the Cuvée Corner Wine Blog. 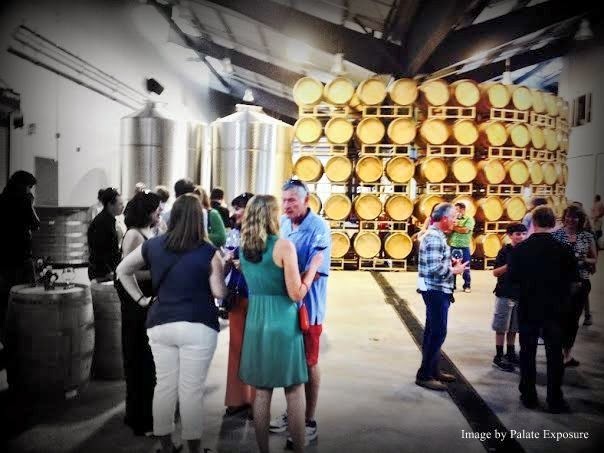 Last weekend, Kosta Browne held their semi-annual release party at their state-of-the-art production facility located in Sebastopol. Many know Kosta Browne label for their cult wines, long waiting list and endless Wine Spectator accolades. I know them as wonderful folks who I have enjoyed over the years. Michael Browne's journey started very humbly. He initially moved to CA from his native WA state to be an architect. Instead he ended up in the restaurant business where he worked for nearly 15 years, mostly at John Ash & Co. Eventually he joined Deerfield Ranch Winery to learn the craft of winemaking. That's where his love affair with Pinot Noir began. Michael was determined to pursue his passion and harness the pleasures of the grape many refer to as "elusive". Along the way, Michael decided to produce his own wine. As the story goes, he and his partner Dan Kosta, a fellow employee at John Ash, pulled about $2500 in tip money and Kosta Browne was born. It's near impossible to talk about Michael without mentioning his wife, Sarah. Michael quickly acknowledges that Sarah's partnership was a big part of the key to his success. With his wife's backing, and a growing family to support he worked three jobs: his day job at Deerfield Ranch, his night job at John Ash & Co., and a new side job, making Pinot Noir for Kosta Browne. With few fundraising prospects to support the fledgling brand, the couple endured some ups and lots of downs for the first four or five years. As the saying goes, there is a great woman behind every great man. 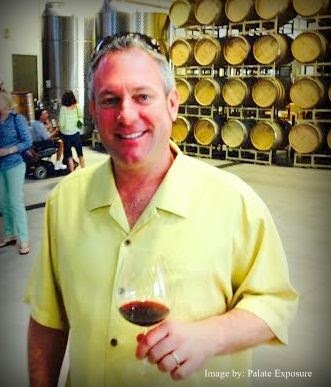 With Sarah's unwavering support, Michael found his voice in California wine scene. Now wine aficionados can now enjoy his gorgeous wines. We should all raise a glass to Sarah in thanks. What accounts for Kosta Browne's success? How does one go from selling wine from a back of a pickup truck to mailing list 10,000 customers strong, a 5,000+ waiting list and hundreds of worldwide fine dining restaurants, begging for allocations? The simple answer, hard work and unwavering vision like those of Bill Gates, Steve Jobs both had in spades. What is the degree of separation between a leader and a follower; it’s a single-minded vision and the ability to draw others into it. "Michael's vision for his wines centered around and on intense, unapologetic/unabashed varietal and terroir expression." While other producers were wringing their hands and second guessing themselves in terms of what critics or sommeliers may like, Michael focused on one thing: maximizing potential of the fruit. Like his love for rock music (as evident from the etchings on his big bottles) that he often plays loudly in the cellar, he wanted to not only capture but amplify Pinot Noir's natural voice. Kosta Browne sources fruit from roughly 30 contracted vineyards, from the edges of Sonoma Coast to the Santa Lucia Highlands. This wide assortment of fruit sources account for Kosta Browne's astonishingly strong portfolio of blends and single-vineyard gems. The winery influences the vineyards viticulture practices and controls the timing of the harvest, a key factor to the wine's inception. Kosta Browne has a stellar management team. Chris Costello, a founding partner, has been with Dan and Michael from their humble beginnings. Tony Lombardi, their charismatic Brand Manager and PR Director previously worked at Allied Domecq, Constellation, and J Vineyards. General Manager, David Hejl, who joined the company in 2011, has quite a resume, with a 30 year career span that included executive positions at Nabisco, Gourmet Award Foods, Ruiz Food Products, and CPI International. And last but not least, Bill Price, the Visionary. A self described proponent of fostering fierce customer loyalty, Bill has been in aggressive acquisition mode and his choices have been stellar to say the very least. Kosta Browne, Kistler, Gary Farrell, Buccella, Gap's Crown Vineyard... impressed yet? Price was one of the original founders of TPG Capital, one of the largest private equity firms worldwide. He orchestrated the purchase of what's now known as Beringer Wine Estates for $350 million, which TPG took public. Then it acquired Chateau St. Jean, Stags’ Leap Winery and St. Clement before selling to Foster’s for a reported $1.5 billion. His most personal purchase to date is a magical 200 acre Durell Vineyard which sells grapes to 23 boutique producers and has its own label, Three Sticks. It was Bill's newly founded Vincraft, backed by TPG that purchased Kosta Browne for a record 40 million, highest amount paid for a Sonoma based winery that does not have any vineyard holdings. As evidenced by the flourishing success of Kosta Browne, Bill's decisions and bets are spot on. Kosta Browne has always believed in direct-to-consumer sales, which currently comprises roughly 90% of their total sales. Early on would have been financially tempting to put their wines into the three tier distribution system and trust third parties to market their wines. By distributing the wine themselves, they've maintained tight control over their brand image and are continuing to build strong relationships with their customers. As the wine brands experience growth and success they are afforded a wider variety of choices. Most raise prices, stop pouring at public events (citing small staff and limited product), some shroud themselves with mystery and become entirely inaccessible. Kosta Browne have barely raised their prices, even on the coveted, micro-production single vineyard wines, even though given the demand, they easily could have doubled them. They believe their customers deserve value. Many 'release parties' are somewhat impersonal affairs, typically manned by tasting room staff and caterers, but Michael and his partners personalize the events making every visitor feel welcomed and this weekend's event was no exception. To my astonishment, Michael Browne walked into his stunning Large Bottle Room and pulled out not one, not two, but three single vineyard Double Magnums and generously shared them with his guests. He opened a 2009 Koplen, a 2009 Keefer and a 2006 Keefer. Michael shared with his guests the story of this vintage; a story that made my heart skip a beat. Michael spoke quietly, but powerfully about the difficulties of shepherding a wine in a challenging year, how difficult it was to learn that it received the poorest critical reception. He described how he battled to produce this wine, which from what I tasted ultimately showed bright acidity, excellent delineation, elegance and precision. I rarely post tasting notes, but this one merits an exception: "Red fruit, raspberry and redcurrant fill the glass. Floral and citrus aromas emerge unexpectedly and play headily with your senses. Razor sharp acidity is softened by a mouth filling core of berries, spiced apple, cranberry, forest floor fruit...lingonberry. Mid palate gets deeper, richer and picks up creamier and punchier notes of blackberries, Chambord and a hint of Cointreau. The finish refuses to end, caressing the palate in soft, silky, seductive waves." In each significant wine lies a story. Some are happy, some wistful, but each great story has the ability to touch you emotionally. The 2006 Keefer Ranch told a powerful tale of love, beauty, struggle and redemption. Most importantly, Michael's and Sarah's story of struggle and success unfolded in this fabulous wine. I, for one, could not get enough.